Want to start a lifestyle blog in under 15 minutes? I’m here for you! 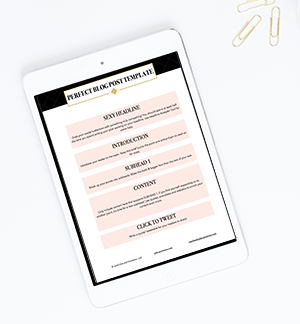 How to start a lifestyle blog is one of the questions I get asked most, and you can absolutely do it without having to hire a professional. I’ve started all of my blogs myself and I’m here to walk you through how to start your own WordPress blog, even if you aren’t a techie person. In this tutorial, I’m going to show you step-by-step how to start a WordPress blog on Siteground, which costs less than $5/month! That’s a cup of coffee, friends! But First, What is Self-Hosted WordPress? There is WordPress.org and WordPress.com. Here, we’re talking about the former, which is a self-hosted WordPress site. If you don’t know what hosting is, or all of this sounds like jargon to you, let me clarify. 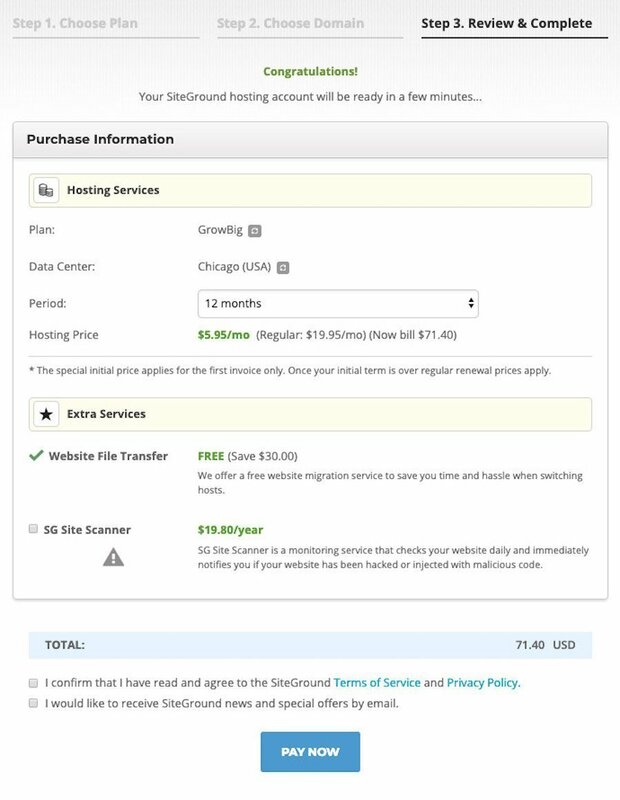 The Hosting service (Siteground, for example) is your lot. You need a reliable lot in order to build a great blog! WordPress is a CMS (Content Management System). This serves as the frame for your home where you’ll do all of your blogging. A WordPress Theme is the layout/design of your home. Your Domain is your home’s street address. Mine is glitz-grammar.com. Going back to the home analogy, self-hosted WordPress makes you the owner of your home. That is the No.1 reason I recommend self-hosting. 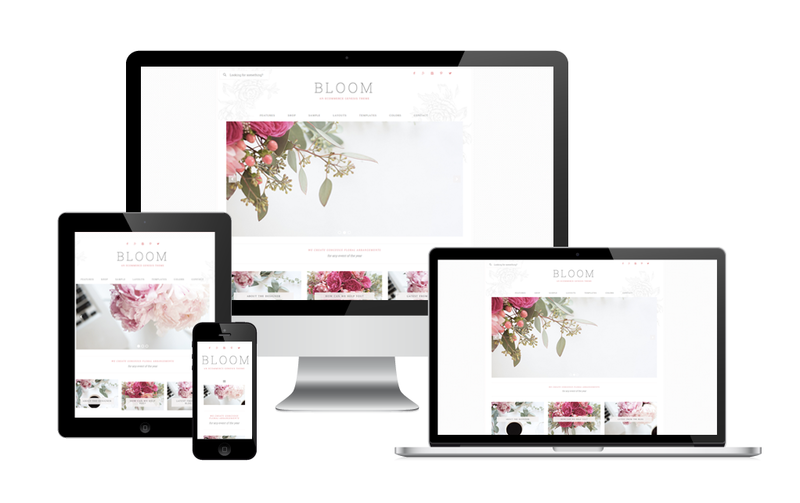 When you build a blog through a service like Squarespace or Wix, you are renting space. That means if your landlord decides to close up shop one day, your blog is gone. And if you want to monetize your blog–which most of us do!–you’ll want to make sure you own your home. Self-hosted WordPress blogs also have really attractive, professional-looking themes. And that’s the kind of thing sponsors and advertisers are looking for. Ok, so now that you know WHY it’s so important to start a self-hosted WordPress blog, here’s a quick, easy tutorial on how to start a WordPress blog on Siteground. I have tried several hosting providers for my websites. I am currently hosting with Siteground, which is what I recommend to my clients as well for a lot of reasons which I’m listing below. Head on over to Siteground Managed WordPress Hosting. You’ll see three options for your hosting package. If this is your first blog, the StartUp package is more than enough! And it’s just under $4/month which is super affordable. Since I have more than one website, I went with the GrowBig package. But for those just getting started, the basic is enough! Next, choose your domain whether you already have one or are registering a new one. 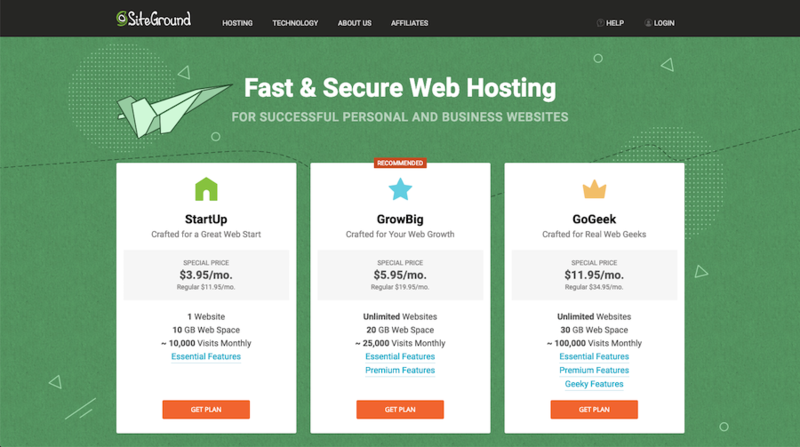 If you already have a domain name, SiteGround will migrate your website for free with the GrowBig or GoGeek plan. 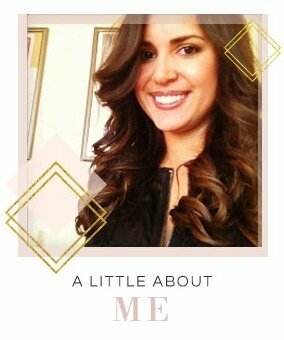 I did it for my fashion and lifestyle blog and it was pain-free! Other web hosts do not include this service, which can be a total headache if you aren’t super-techy. In fact, I had a horrible customer service experience with one of the more popular website hosts recommended by bloggers. Never again! If I have a question, as I often do, I need a nice human on the other line willing to help me out. My website was imported in under 24 hours! And if you have multiple you are switching over, each website transfer is just $30. To me, that’s not worth the headache of trying to do it myself. They also have a migrator plugin that is free if you’d like to try it yourself! Pick your plan and checkout! I did not spring for the SG Site Scanner but for less than $20 it’s an upgrade you may want to consider. Free SSL Certificate for Every Website. Guys, this is a biggie! 12-month commitment: Other hosting websites will try and make you commit for 24-36 months to get the lowest price. Here, you’ll get to try it for the same low price just a year! Money-back guarantee: Not happy? Get a refund in 30 days! Fast service. Being able to serve your web pages quickly was a top reason I switched. It makes a huge difference in your user experience and in Google rankings! Now that you have your WordPress website ready, it’s time to pick a theme! 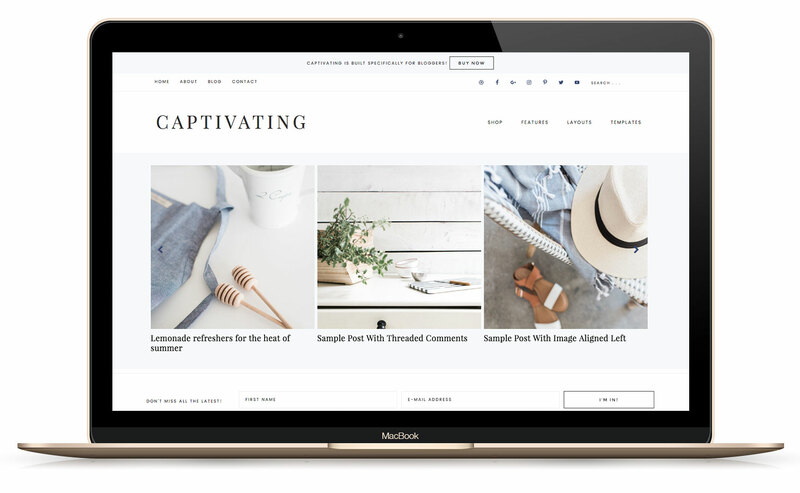 There are many free WordPress themes, but for less than $100 you can get a gorgeous, premium WordPress theme. 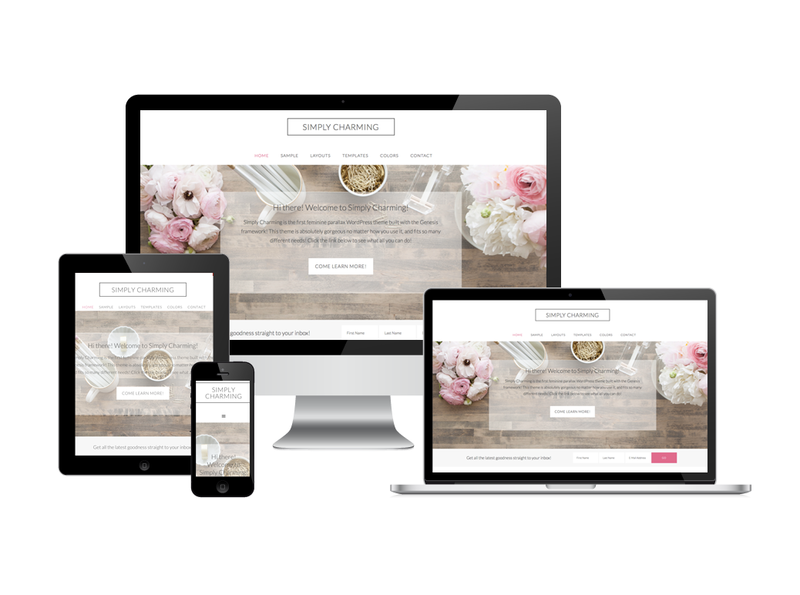 When choosing a website theme for your new blog, try and be strategic. Instead of focusing on things like the colors and fonts–which can all be changed–focus on the layout and user experience. Think about what the most important thing is for your biz and your readers and then choose your theme. Some blogs are better suited to grow your email list while others are built to showcase products. So what theme is best for you will really, really depend on your situation! Still stuck? Try this quiz from Restored316 which will recommend the best theme for your needs! 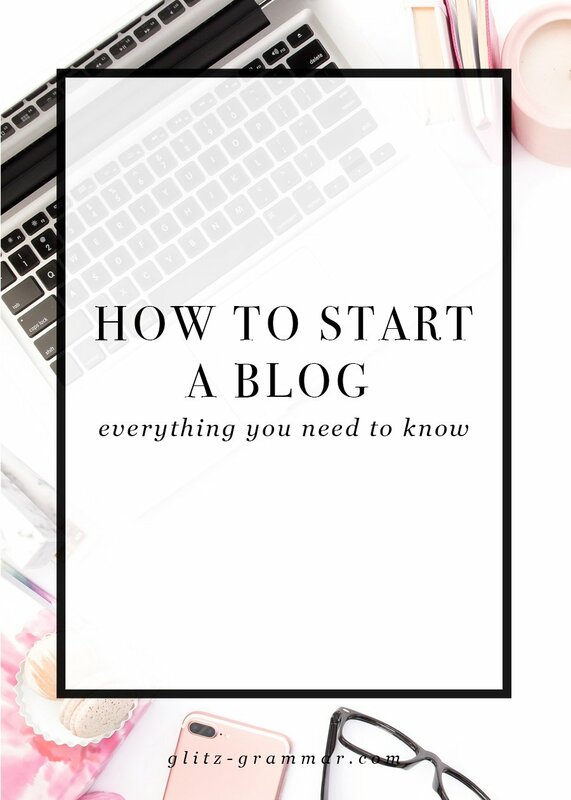 By now you’re probably itching to start blogging, so go for it! There are a few WordPress plugins I recommend (find those here) and you may want to tweak with your settings and appearance a bit. But now that you’ve made it this far, you’re ready to start blogging! For even more resources and my favorite blogging tools, check out this post. If this is your first go-round on starting a blog, you may want to try this free e-course on how to find your writing voice, which will help you stand out from the crowd! What questions do you have about starting your own blog? Drop them in the comments below! Thanks for sharing this guide. It is really helpful for Bloggers.